Posted by Tantumblogo in Basics, catachesis, episcopate, General Catholic, history, Latin Mass, priests, Tradition, true leadership. I posted a picture of a local priest in a white cassock, and some people had some questions about it. I used to have the same questions. 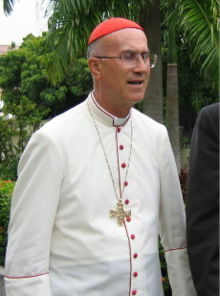 In brief, the Church has long permitted those priests – and bishops, too – in tropical climates to wear white cassocks more acclimated to the torrid conditions. 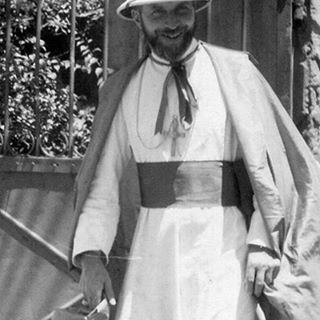 The Fraternity of St. Peter gave permission to the priests here in Dallas to wear white cassocks in the summer months, generally June, July, and August. They aren’t worn terribly often, but you seem them occasionally. I think they look really smart. You will frequently see African bishops wearing white cassocks. In the US it’s much more rare but as I said permission can be sought and obtained in certain locales. This rather piddling post is all I have time for today. From the so called “complete” 3rd secret of Fatima released in 2000. They’re still hiding the most important part. Thanks be to God. Will join with your prayers as we continue praying for your son. Hopefully they allow it for the FSSP priests assigned in Arizona, too! The wearing of the cassock by bishops is a Roman Catholic church tradition. I pray always for our dear Bishops, Priests, cardinals and nuns, that they may continue to lead us in the right direction. JESUS, MARY AND JOSEPH I love saves souls! Wp Thanks for your blog. God bless u and yr family. Yes, l saw the picture. Looks decent. Is it possible that one of those children in the middle photo is a very young Cardinal Sarah?! I think it’s weather related. I have seen Thai priests wear white cassocks as well. I have seen priests from the Cistercian order wear white cassocks with a brown sulplice. This might be part of their habit. Fr. Paul McCormick frequently wears something like this. Fr. Aiden Logan, OCSO, would also wear a similar dress unless he was in his Navy Reserve Chaplain uniform. 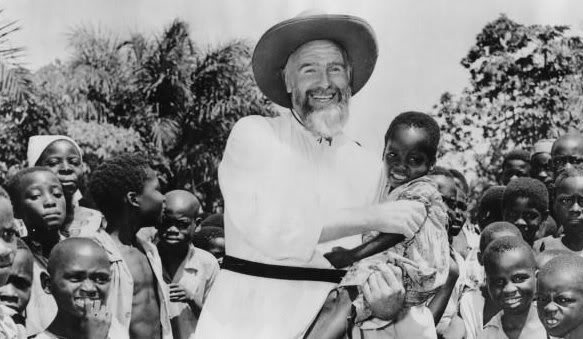 The Institute of Christ the King has always worn white versions of their cassocks and choir dress in their Gabon apostolate (which is right on the Equator). When Cardinal Burke visits, he wears a white cardinal’s cassock as well. In a way, I like to think of them as carrying on the good archbishop’s work in Africa, in a small way.